Over the weekend, a religious event saw many of the Bollywood film fraternity come together. Amongst them was Katrina Kaif who looked lovely in a sunny ethnic look. She wore an Anita Dongre embroidered sharara suit with Pink City by Anita Dongre jewellery and completed the breezy outfit with Fizzy Goblet juttis. To get the look for less, grab these picks as we decode Katrina's look. The Meena Bazaar Gota Patti Kurta and Sharara Set has three quarter sleeves, embellished cuffs and neckline with thread work and a contrasting red dupatta. It is available for Rs 3,950, reduced from Rs 4,880. 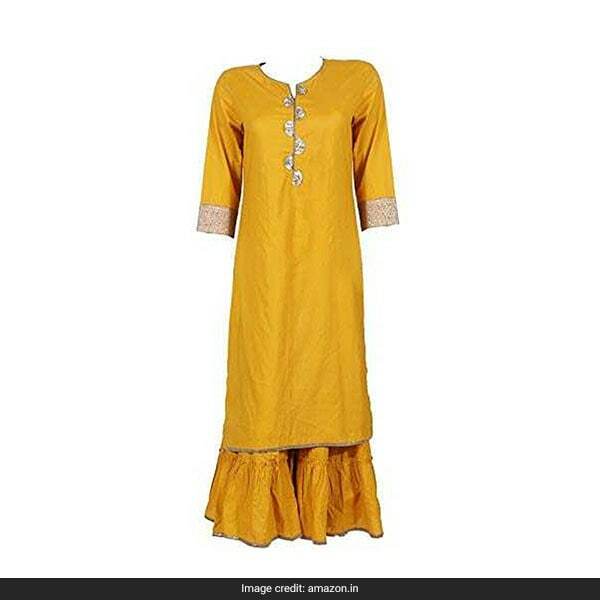 The Neemiya 3-Piece Sharara Set includes a zari embroidered kurti with flared palazzos and dupatta in bright yellow. It is available for Rs 1,339, reduced from Rs 2,499. 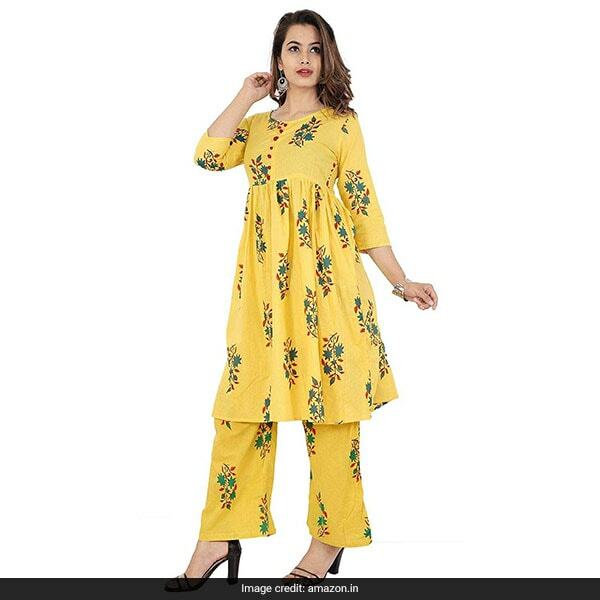 The Pure Comfort Set is a cool casual pick of a printed A-line kurta with matching trousers. It is available for Rs 999. 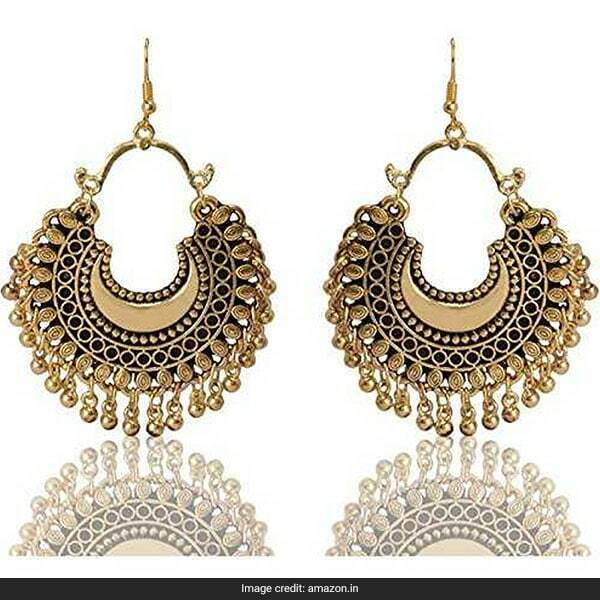 Like Katrina, dazzle in Alfora Chandbali Earrings which come in black and gold tones with gold beads at the end. They are available for Rs 79, reduced from Rs 250. Complete your look like the star with Fonsi Punjabi Juttis, a traditional-styled choice of brown leather with gold embroidery. 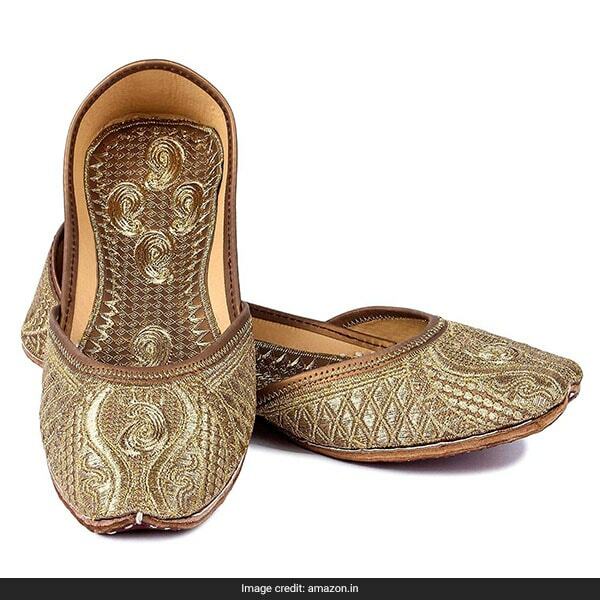 They are available for Rs 999, reduced from Rs 1,499. Will you be sporting Katrina Kaif's look yourself? Tell us in the comments.